International Film Festival Rotterdam (IFFR) collaborates with streaming service MUBI to present four IFFR films at MUBI.com. No coração do mundo by Gabriel Martins and Maurílio Martins, which had its world premiere in Tiger Competition at IFFR 2019, is exclusively available for Benelux audiences from 2 February. Obayashi Nobuhiko’s Hanagatami, Fabrizio Ferraro’s Les Unwanted de Europa and Leandro Listorti’s La película infinita – all selections from IFFR’s 2018 edition – are available to worldwide audiences. As per MUBI’s streaming model, all four films are available to subscribers for 30 days on MUBI.com/specials/direct-from-rotterdam. Hanagatami, Les Unwanted de Europaand La película infinita are available to worldwide audiences. 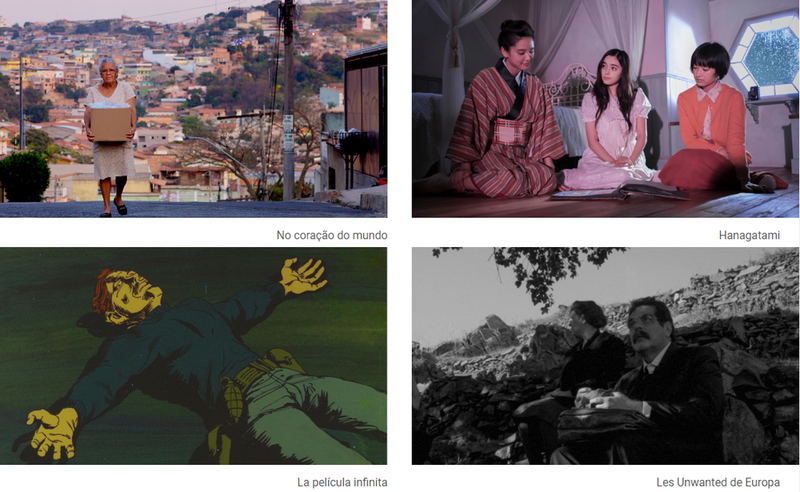 No coração do mundo is exclusive to MUBI subscribers in the Benelux. After its 30-day period on MUBI, No coração do mundo will be available on IFFR’s own streaming platform IFFR Unleashed, exclusive to Benelux viewers as well.